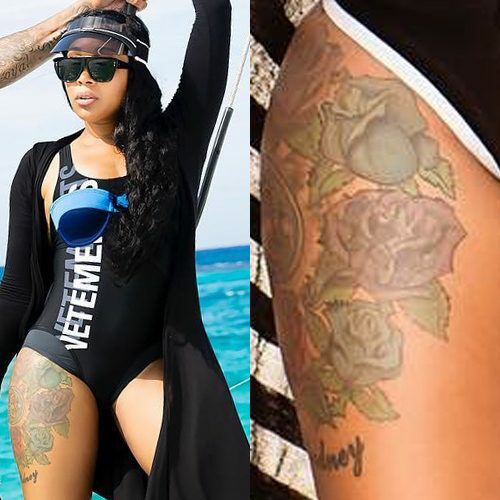 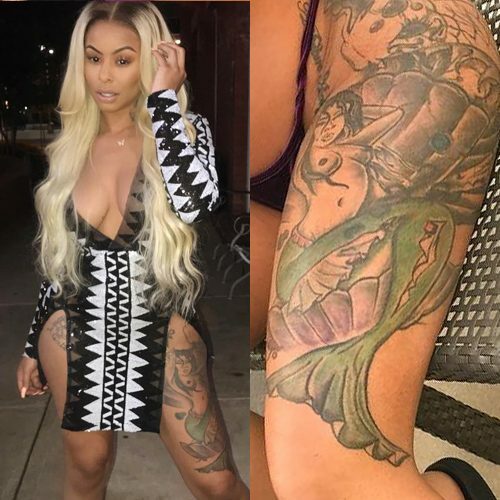 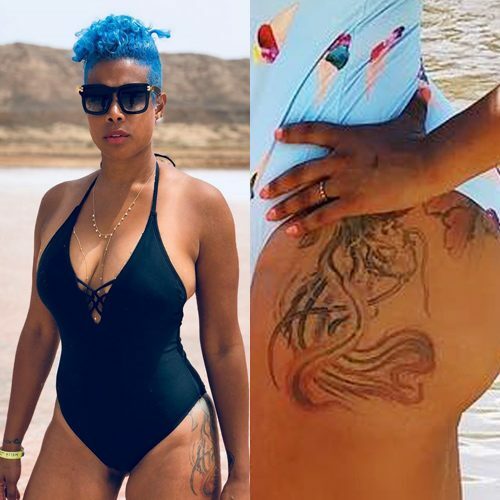 Alexis Skyy has a tattoo with a butterfly and her name “Alexis” in cursive font on her right thigh. 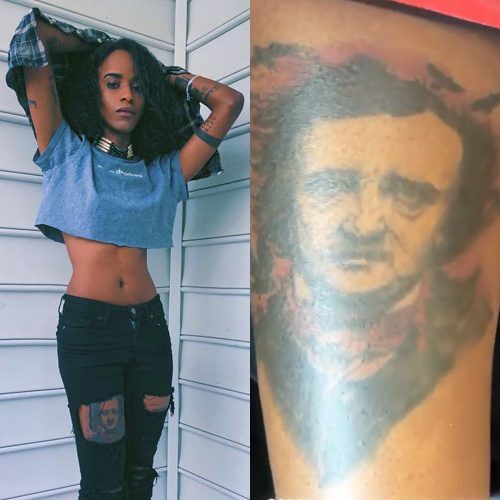 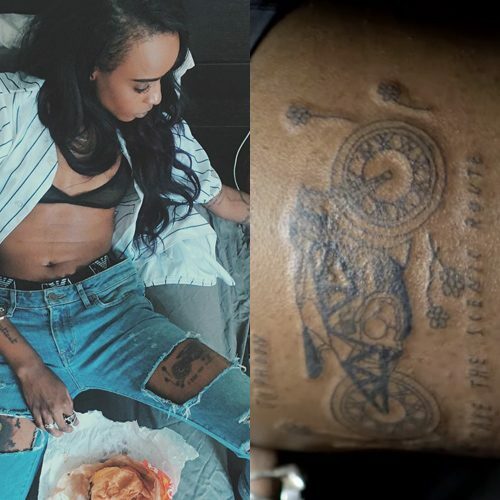 Angel Haze has a tattoo with the portrait of Edgar Allan Poe on her right thigh. 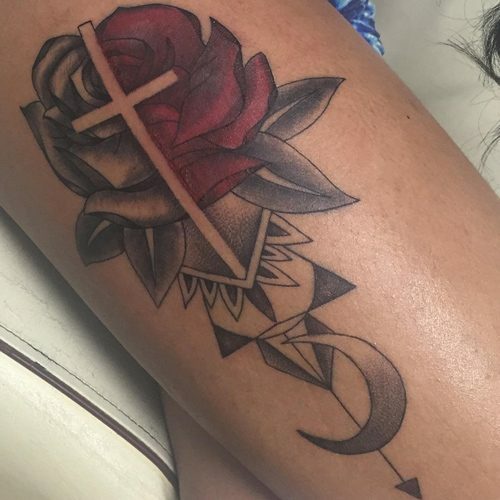 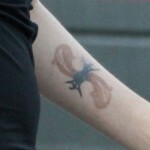 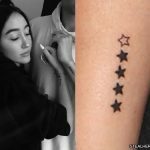 Lena Dunham has a script tattoo on her left thigh.